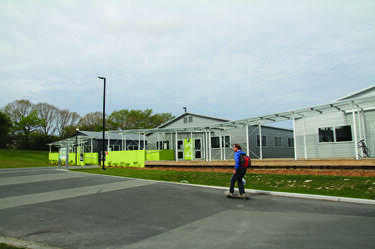 A photograph of one of the "pods" of temporary classrooms and offices at Kirkwood Village. 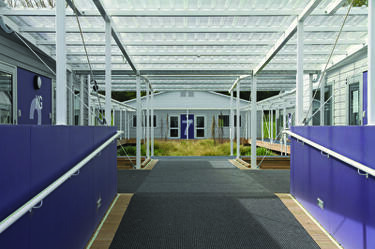 The pods were constructed at the University of Canterbury campus following the 22 February 2011 earthquake. A video about the restoration of the dome of the Isaac Theatre Royal. 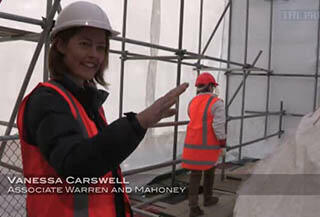 The video includes an interview with Vanessa Carswell, Associate at Warren and Mahoney, about the dimensions of the dome. 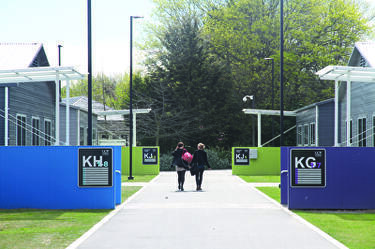 Because the dome is not a perfect circle, the dome and the canvas that cover it have to be reinstalled in exactly the same way, and the dimensions have to be measured accurately so that the new steelwork fits correctly. The video also includes an interview with art restorer Carolina Izzo about restoring the canvas covering of the dome. Izzo says that the theatre lights have burnt the edges of the canvas, and some patches have been affected by mould. She also explains the process for cleaning the artwork. 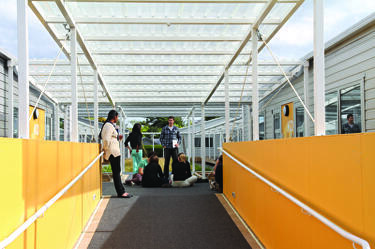 A photograph of students outside one of the "pods" of temporary classrooms and offices at Kirkwood Village. 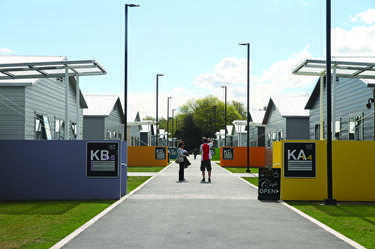 The pods were constructed at the University of Canterbury campus following the 22 February 2011 earthquake. 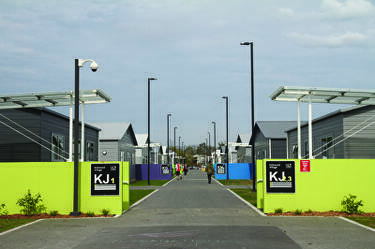 A photograph of Kirkwood Village, a cluster of temporary classrooms and offices constructed at the University of Canterbury campus following the 22 February 2011 earthquake. 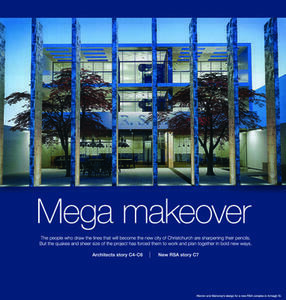 The front page graphic for the Mainlander section of The Press, featuring an article titled, "Mega makeover".